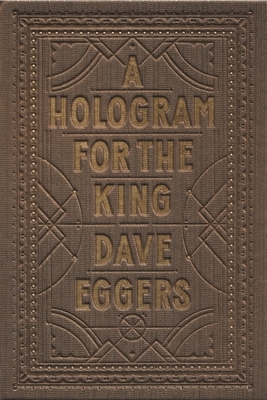 Dave Eggers is the bestselling author of seven books including "A Hologram for the King," a finalist for the National Book Award; "Zeitoun," winner of the American Book Award and Dayton Literary Peace Prize; and "What Is the What," which was a finalist for the National Book Critics Circle Award and won France's Prix Medici. In 2002, with Ninive Calegari he cofounded 826 Valencia, a nonprofit writing and tutoring center for youth in the Mission District of San Francisco. Local communities around the country have since opened sister 826 centers. Eggers lives in Northern California with his wife and two children. "Dave Eggers is a prince among men when it comes to writing deeply felt, socially conscious books that meld reportage with fiction. While A Hologram for the King is fiction...it’s a strike against the current state of global economic injustice."